Welcome to Coyote Crossing located in West Lafayette, Indiana. Coyote Crossing is an award winning golf course that offers you an 18-hole golf course that will challenge every club in your bag. Our large range and practice facility gives you a chance to warm up before going onto the course. We offer a variety of stay & play packages at Coyote Crossing, so give us an opportunity to meet and exceed your expectations on how a great golf course can offer such great packages! 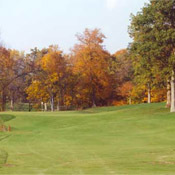 Be sure to take advantage of the combined season pass opportunities for Coyote Crossing and Battle Ground Golf Course. We have top notch instructors that are available for private lessons. Coyote Crossing is proud to offer Junior Golf Clinics so your junior golfer can learn all aspects of the game, click here for details of our 2008 program. We look forward to seeing you at the course soon! Be sure to sign-up for our E-News Club, you will receive news and specials about the course.